One conference that is a highlight for me every year is BIO CEO in New York. This year’s edition arrives next Monday Feb. 9, concluding on Tuesday Feb. 10. One of many reasons I like it so much is that so many fund managers attend. That makes for some excellent Q&A and chatter in the hallways of the Waldorf. If you can get there, I highly encourage it. If not, read the tweets (hashtag is #BIOCEO15) and other media coverage. VC Funding Report for biotech. Dave Thomas from BIO Industry Analysis will be unveiling his new biotech VC Funding Report. This first-of-its-kind study looks at where venture financing has been put to work in terms of disease area and novelty of research over the last decade (five years pre and post economic crisis). Results are broken down across fourteen disease areas, including oncology, cardiovascular, neurology, psychiatry and more. There are also some high-profile hour-long “fireside chats.” For example, on Tuesday morning, Gilead’s John Milligan will be followed by Alnylam’s John Maraganore. I wonder if anyone else remembers that Gilead started out as an antisense therapeutics company! Then on Tuesday afternoon, a chat with Peter Greenleaf from Sucampo will be followed by Ron Cohen of Acorda and then by Ian Read of Pfizer. I will try to attend many of these. Reading the CEOs’ body language and hearing their jokes will help me interpret both company commentary as well as investor sentiment in the months to come. In between these plenary sessions, there are over a hundred company presentations. I hope to see you there. 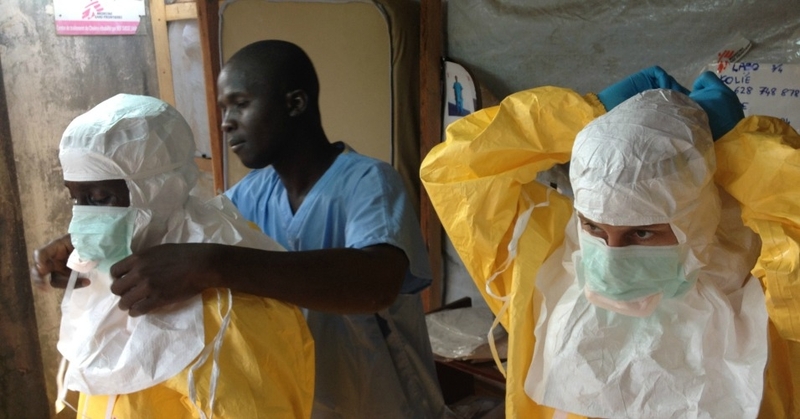 This Therapy Could Treat Ebola – How to Get it to Those in Need? What if there were a useful treatment for infection with Ebola, which can produce a life-threatening and frightening hemorrhagic fever, but no easy way to get the product to those in need? A detailed search of the literature and consideration of the viral structure of the Ebola virus helped me uncover a potentially useful product that is far ahead of other proposed Ebola therapies in development that, based on animal data, is highly likely to have efficacy. Yet there seems to be no simple way to provide this product on a compassionate basis to those in need. This post is an open request to anyone with knowledge of the situation to take action on this potential treatment before more lives are lost. Ebola is associated with extremely high mortality, between 60% and 90%, and there is no effective treatment. Until recently, it has been possible to contain the spread of the virus and limit the total number of cases to a maximum of a few hundred per year. This year, containment has proven to be more difficult and the number of cases has swelled to over 1,200, including a number of health care workers. There is concern that the virus could easily be spread beyond the current region encompassing Sierra Leone, Liberia, and Guinea. Indeed there is already one case where an infected traveler flew to Nigeria and later succumbed to this virus. Travel restrictions are being put in place to try to keep the virus contained, but because infected individuals may be symptom-free for up to 21 days, this may not be enough to stop its spread. The only treatment currently available is supportive replacement of fluids, electrolytes and blood. Broad spectrum antivirals such as ribavirin have proven to be ineffective. There are a number of therapies being specifically developed for Ebola including vaccines, monoclonal antibodies, antisense molecules, and small molecule inhibitors. However, these are all in early stages of development and can’t address the immediate need for an effective therapy. Antiviral therapies that have proven highly effective for other viral infections often target viral proteins required for replication. Ebola contains an RNA-dependent RNA polymerase, a protein that is conserved among other related viruses including Marburg, parainfluenza, mumps, rabies, and RSV. This suggests that inhibitors that target the most conserved region of RNA-dependent RNA polymerase, the nucleotide binding domain, have high potential for activity against Ebola virus. By reviewing relevant literature, I have uncovered recent experiments with one of these inhibitors, favipiravir (T-705), which have demonstrated that this product can inhibit the virus in cell culture as well as in mouse models of Ebola infection. Papers on this were published by two research groups (Antiviral Res. 2014 May;105:17-21; Antiviral Res. 2014 Apr;104:153-5). One example of favipiravir’s effectiveness is that a one week course of treatment of infected mice was able to prevent death in 100% of the mice. This treatment was 100% effective even when started six days after the initial infection, when the mice already had symptoms. Favipiravir is currently in development for influenza (flu) infection by FujiFilm Pharmaceuticals/Medivector. It has completed Phase II clinical trials in hundreds of patients and has recently entered multinational pivotal Phase III trials funded by the US Department of Defense. It was approved for pandemic stockpiling in Japan in May of this year. Favipiravir has not been advanced by FujiFilm for use in Ebola patients, because it lacks the resources and expertise, according to a company executive quoted in a Bloomberg News article that ran on July 17, 2014. But it is far ahead of other specific Ebola therapies under development. Given the animal data, I believe it to be highly likely that favipiravir will have efficacy in Ebola patients, especially if it could be given relatively early in the infection cycle. Sufficient drug supply for up to 1,000 patients in the planned influenza trial is likely already available. That is in addition to any material already being stockpiled for potential influenza pandemic use in Japan. Processes to produce more should be in place. There are other precedents for using unapproved therapies in times of clinical emergencies, especially when the situation is life-threatening and there are no other acceptable therapies. Often these situations arise in oncology, where clinicians advocate to use promising therapies that are in development in critically ill patients. A recent example in antiviral therapy involved a cancer patient with an otherwise untreatable viral infection who was able to receive investigational drug brincidofovir from Chimerix, Inc., in North Carolina. The patient soon recovered. While treating Ebola patients in Western Africa may not be the largest commercial opportunity associated with this molecule, I find it ethically challenging to have a molecule in hand that could prevent many of these patients from dying as well dramatically limit the spread of this disease and then not even attempt to test its efficacy. Drug supply for at least some patients should already exist; it has proven to be relatively safe in humans; and animal experiments indicate that it has a large potential to work. Quickly bringing this potential therapy to patients will demonstrate to the world what medicine in the 21st century should look like. Paul Caron is a pharmaceutical industry consultant and founder of Integrated Profiling, LLC. www.integratedprofiling.com. He can be reached at pcaron@cbtadvisors.com.